The third annual Alter Your State Conference was filled with valuable insight from industry leaders. An important takeaway from the conference was the overall need for leadership principles when influencing and implementing important changes. Many leaders simply do not know where to begin or how to get their teams on board with the move to the cloud. Our keynote speaker, Paul Soligon, took the guesswork out of the journey and outlined four steps to initiate a smooth upgrade. Your mission is to clearly define exactly what you want to accomplish and then communicate it to your company. Communication is key, as there will most likely be push back from team members with an aversion to change. Define when you want to reduce dependency and depart from the data center business. Create a goal of moving a specific number of applications within three months. Having your goals and vision outlined will make a firmer impact on employees without causing the distress of an open ended statement. It may seem appealing to keep the vision and goals from your team to avoid push back for as long as possible, but we've found that the more transparent leaders are about the change, the faster team members are able to get on board with it. Keep your customers in mind as you begin planning. Understand, communicate, and prepare for the way customers may be impacted on the back end. It’s important that you help create the vision of what you’re trying to accomplish. Staff your COE with the most forward-thinking and talented individuals you have in your organization. They need to be supportive of the cause before being selected. This is going to be your number one department for innovation and progress; you will want your best and brightest championing to make it happen. Consider renovating a section of your office to encourage innovative thinking (perhaps your old server room), or finding a completely separate building. Once you have an inspirational environment, invest in setting yourself apart in your community. Begin hosting a meetup group, social mixers, or networking events. Dedicating your most impressive employees to an exciting project, while rebranding yourself as a leader in the industry, will likely attract the new talent you will need moving forward. It may seem intuitive to take it slow and begin your transition to small, easy applications, but consider a plan with more impact. Instead, select something significant and apply substantial resources to it. Make sure it’s involved, customer facing, driving revenue, and meaningful to the business. Moving something large first will allow you to remove interdependencies with applications, solve security concerns, and resolve other issues you may encounter. 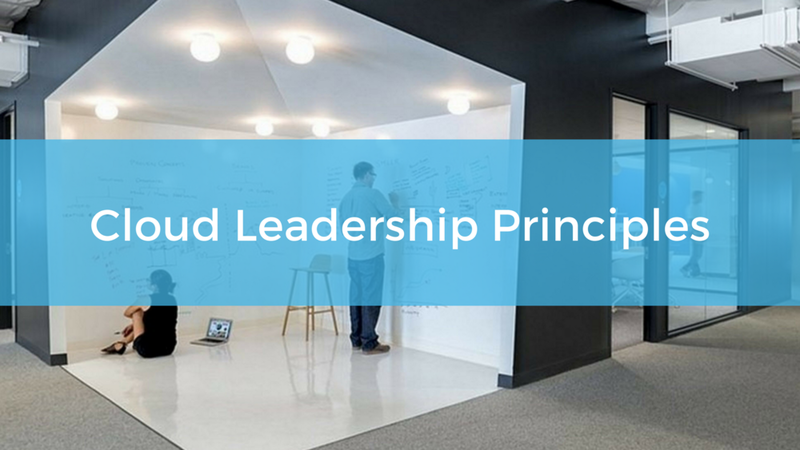 You’ll be amazed by how quickly you can reduce friction internally, knock down walls, and accelerate your cloud adoption journey. You could embark on the journey alone, but why would you? The experience and insight a partner is able to provide will save you time, money, and headaches. Relus Cloud is available to accelerate your public cloud journey, avoid potholes on the roadmap, and provide high-quality services you can trust. The journey there is going to be helpful and make you successful; it's only up to you to make the decision! Are you considering upgrading to the cloud? What are your concerns about the process? Let us know in the comments below!